Co-produced with Katherine Foley in 2015. Primary role: shooting and editing. Co-produced with Nicole Lou and Chelsey Coombs in 2015. Primary role: Research, writing, location scouting, shooting (the boat scenes and interviews) and editing. 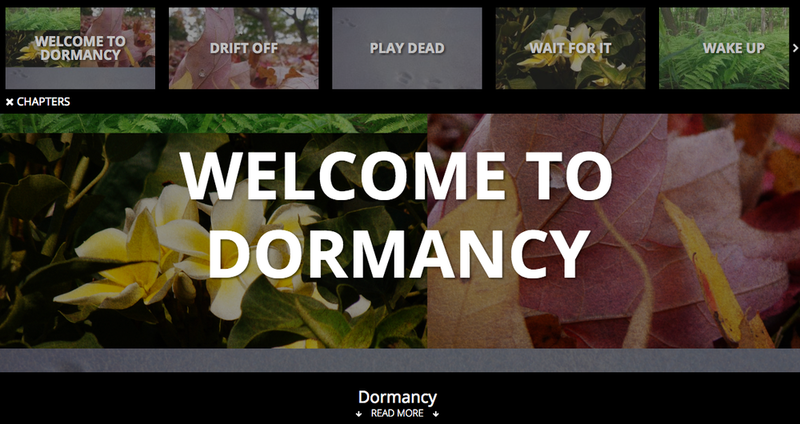 A theme of dormancy threads together seemingly unrelated stories told through videos, pictures, podcasts, comic strips, cartoons and written word. Here's a summary. Published by Scienceline in four chapters over the month of October, 2015.